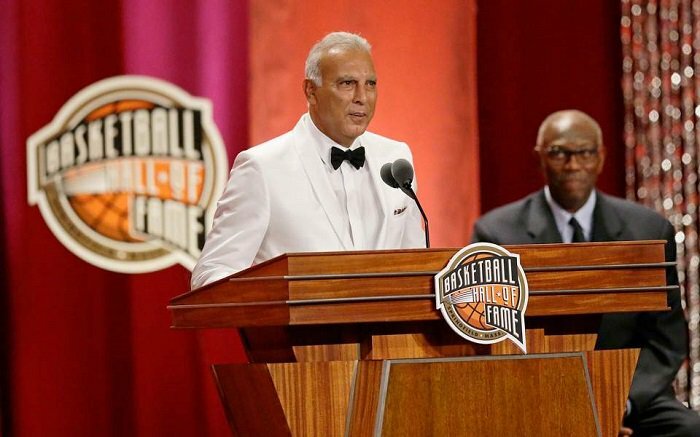 It was a touching moment for Greek basketball legend Nick Galis, to be inducted in the class of 2017 NBA Hall of Fame. In a four-minute-long acceptance speech, the Greek-American veteran made a short, emotional retrospect of his career. He said that he was not disappointed when he was drafted for the Boston Celtics but couldn’t secure a contract with the NBA legends, because he was happy to play in his native Greece. His most touching story involved a woman stopping him during a walk in Thessaloniki. He thought she just wanted his autograph, but she wanted to thank him for leading her addict son away from drugs and into basketball. An eight-time champion in the Greek Basket League, Nick Galis transformed basketball in his adopted city of Thessaloniki while becoming the superstar athlete every young player tried to emulate. During his senior season at Seton Hall, the New Jersey native ranked third in the nation with a scoring average of 27.5 points per game. Galis, the son of Greek immigrants, signed with ARIS of Thessaloniki in 1979, after being drafted by the Boston Celtics. Then, in 1983, the five-time All-European selection helped ARIS run off seven straight league titles. The prolific scorer attacked the interior confounding the opposing team’s defense and defying the limits of his small frame. Galis led Greece to a gold medal in the European Championships in 1987, and was named MVP, solidifying his status as an icon that contributed mightily to the popularity of the game. During the opening ceremonies of the 2004 Summer Olympics in Athens, Galis was one of Greece’s final torchbearers, culminating the storied career of the greatest player in Greek history.